Brothers Jhulio and Barak Eatts were found dead this morning. It was just before 4.30pm yesterday afternoon, on a sunny Townsville day, that a camera attached to a Brett St home in the suburb of Cranbrook filmed brothers Jhulio and Barak Eatts happily setting off an adventure to their favourite park on the banks of the Ross River. Five-year-old Barak had only been finished school for an hour when he and his three-year-old brother Jhulio left their family home, also on Brett St, and started the short walk to Cranbrook Park. 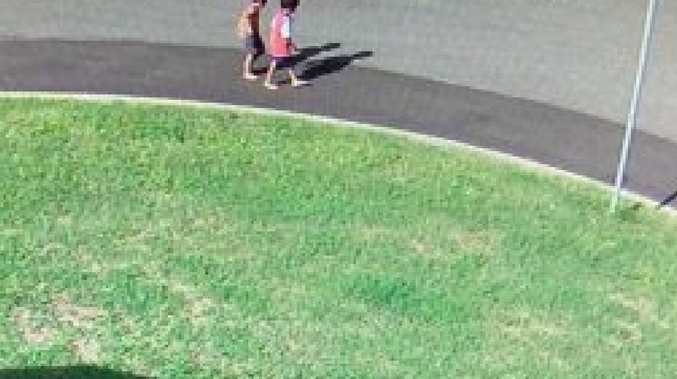 The home CCTV briefly caught the boys, walking without shoes, before they disappeared from view. It would be the last image of them alive. The boys were caught on CCTV walking down Brett St yesterday afternoon. 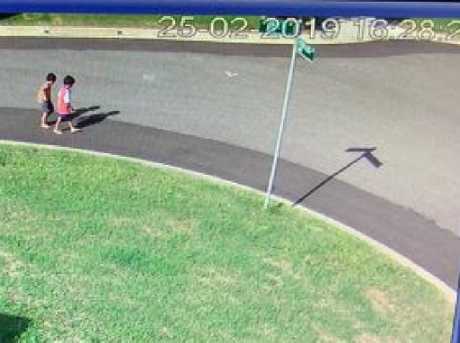 The boys weren't supposed to go the park themselves and an hour later, their terrified mum Leeann Eatts called police when the family's own search had failed. Their aunty Ros Eatts has since spoken of the family's distress, saying Leann is "inconsolable" after the tragic discovery at the riverbank. "Everyone's in shock and total devastation," Ms Eatts told the Townsville Bulletin. "I'm totally gutted. Little Jhulio was three years old - I used to call him little Dumbo, I used to tell him one day he could fly one day with his ears - now I think, 'fly with the angels'." Ros told the newspaper Leeann was keeping an eye on the boys from the kitchen, which looks down on the yard, and called out for them about 5.30pm, soon realising they were not there. She reportedly ran down to the bridge at the river and was screaming for them. "F**k me man my two babies have been missing since 5.45," their mum wrote on Facebook just before 9pm yesterday. "I got eight police cars at my house and everyone on foot looking for them please keep a close eye out for them on the streets near Stockland Cranbrook and surrounding suburbs freaking rite (sic) out now. They only 5 and 3. Both have shorts no shirt or shoes. They just walked off. Please help Townsville." By 6.30pm, a full-scale search had been mounted by police and more than 800 people had shared Leeann's frantic status on Facebook. Dozens of locals headed to the shops to buy batteries for their torches to search through the night, with about 30 SES volunteers scouring the streets and another 40 police joining the hunt. The Queensland Emergency Services helicopter spent the night hovering over the neighbourhood, members from Queensland Fire Service joined in and boats from the state's Water Police drove up and down the still murky and flood-affected Ross River. Less than a month ago, record floods that hit Townsville caused the river to swell, breaking its banks in many parts and leaving the water littered with vegetation. Just before midnight, after almost six hours of police searching on motorbikes, on foot, in patrol cars and doorknocking neighbours, an emergency amber alert was issued. In the alert, Queensland Police said they were worried the boys were at "significant risk". "Police are urging residents from Condon to Rosslea along the river to check their backyards and be on the lookout for the boys." Leeann, worried sick and "so tired and empty", took to Facebook again just before 1am this morning. "Thank you everyone I cannot express my gratitude right now," she wrote. "Still can't find them we got police motorbikes and choppers out and 20 police units have set up on Cranbrook park. I am so tired and empty." Leeann Eatts begged for help finding her sons. At 1.15am, Leeann encouraged anyone in the area to take a quick look around and said Townsville Council had turned all the lights on in surrounding parks. "Please if you live near a park or driving past it take time to have a look. They will be cold hungry and tired now," she wrote. "Mum is missing you boys so so much." At 4.30am, just before the sun started to rise, she begged her Facebook friends to change their profile pictures to a photograph of her two sons to try and raise more awareness. "Please send these photos viral. I thank all who has put themselves out to help find these two wonderful boys," she wrote. 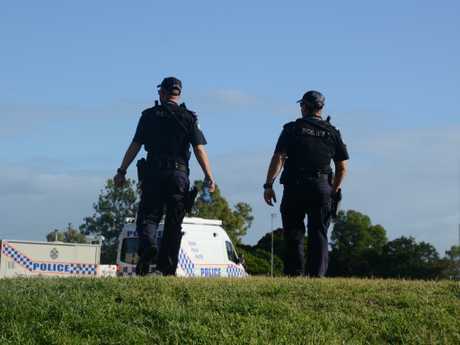 But in an unfortunate twist, Townsville's frantic search for the two brothers ended in heartbreak between 4.40am and 6am this morning when police officers found their bodies in the river. 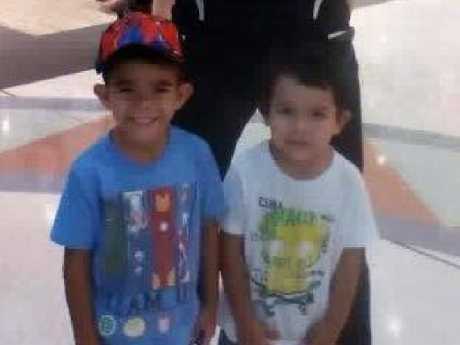 Detective Senior Sergeant Dave Miles confirmed this afternoon the two young boys had been found in a small, cutaway area in the river "only a couple of metres from each other". "From the recent flood events, it's quite deep and quite a steep bank and there's a lot of vegetation there," Sen-Sergeant Miles told reporters. "Given the young age of these boys it's extremely trying for everyone. We have a very difficult job to do. The officers who found them were visibly affected by it and they'll be supported by Queensland Police." Their mum took to Facebook a final time at 9am this morning to thank everyone for their condolences. "Going offline for about 20 minutes. KC and I just need to recoup for a minute," she wrote. It's understood the boys would often play in Cranbrook Park and in the river. Members of the public later told police they'd spotted the boys happily playing on the banks of the river before something went wrong. 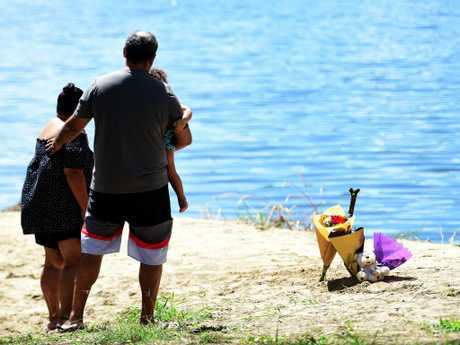 "Where they'd been jumping in swimming, it's quite deep and it's got a steep bank and there are weeds and other debris in that area," Sen-Sergeant Ian Wilkie told Sunrise. "They looked like they were having fun and it's turned to tragedy." Sen-Sergeant Dave Miles said the boys' death was being investigated simply as a "tragic set of circumstances". "We don't know what's caused them to become caught up in the water but it could be as innocent as harmless play that's had tragic consequences," he said. Police are offering support to Cranbrook State School, where Barak had attended. Ros said the loss of her niece's two sons was unfathomable. 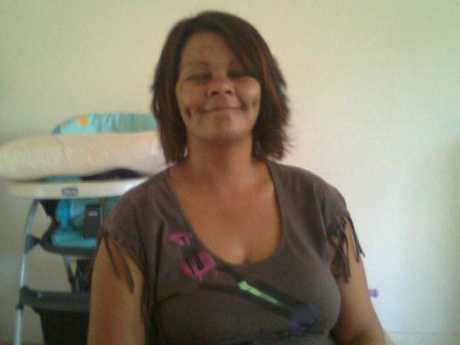 Leeann called her when she was advised the search had found the eldest child. In a press conference this afternoon, Superintendent Steve Munro said the boys' death was another tragedy the north Queensland community would mourn. "This has a significant impact on anyone in the community, we all sort of walk our own personal journeys but when you see two young lives lost in such tragic circumstances, it has an impact on us and it has an impact on us all," Superintendent Munro said. "In particular, our deepest condolences go to the family but also the broader community who are recovering from the recent flood events, it's a tragic set of circumstances. "We can't thank everyone enough who got out of bed and helped … but unfortunately the outcome is not a very positive one for anybody." Sen-Sergeant Wilkie thanked the community for helping with the search but said "unfortunately, it wasn't meant to be". "We were hearing stories of dozens and dozens of people searching in various areas, going and buying batteries for torches," he said. "We do thank them for their assistance in this but unfortunately it wasn't to be." 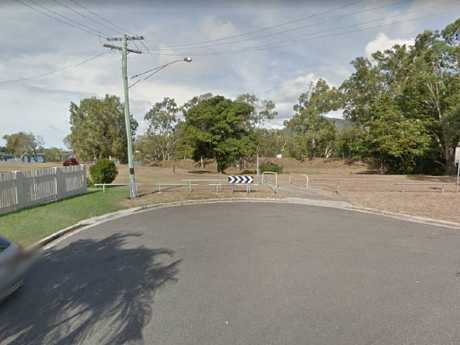 One local told the Townsville Bulletin she hadn't been able to sleep knowing they were out there alone. "I've been out here for about an hour and a half," one woman told the publication last night. "Being a grandmother I have a five-year-old grandson. I couldn't go to bed and sleep on it so I got out and helped."